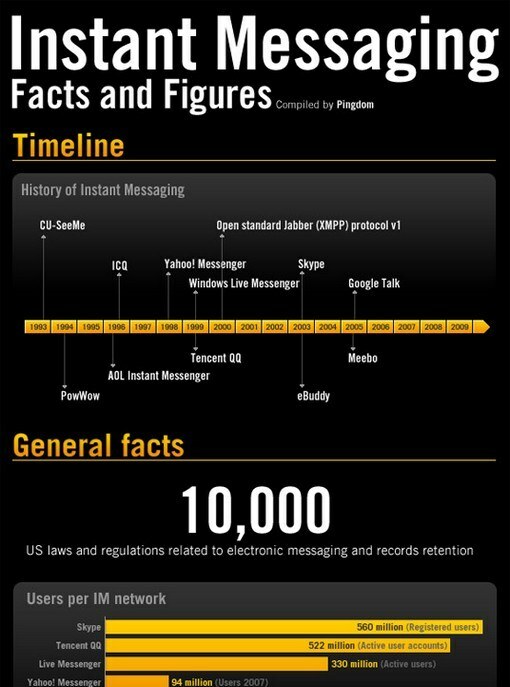 This is another great infographic by Pingdom, this time on Instant Messaging. There are some pretty crazy stats in there like the 47 Billion daily instant messages sent, or the 40 million simultaneous logged in windows messenger users. I see a lot of media plans buying Windows Messenger banners, it’s a popular (and pretty cheap) buy, which is clearly due to the serious amount of impressions they’d serve every day!